Tilda has never given much thought to dragons, attending instead to her endless duties and wishing herself free of a princess’s responsibilities. When a greedy cousin steals Tilda’s lands, the young princess goes on the run with two would-be dragon slayers. Before long she is facing down the Wild Hunt, befriending magical horses, and battling flame-spouting dragons. On the adventure of a lifetime, and caught between dreams of freedom and the people who need her, Tilda learns more about dragons—and herself—than she ever imagined. A delightful middle-grade fantasy… Haskell’s sophomore outing is another clever, witty and empowering tale, fluently melding historical fact and legendary material. Tilda is a splendid heroine: Wry, intelligent, sensitive and stronger than she thinks, she conceals her pain behind icy stoicism and discounts her courage and compassion as foolishness… a truly terrific read. I write for all ages. 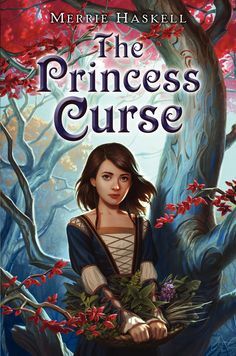 My first book, THE PRINCESS CURSE, was a Junior Library Guild Selection in 2011, and was nominated for a Mythopoeic Fantasy Award for Children's Literature in 2013. 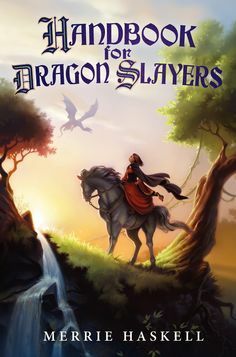 My second MG novel, HANDBOOK FOR DRAGON SLAYERS, won the Schneider Family Book Award (Middle Grades) in 2014. 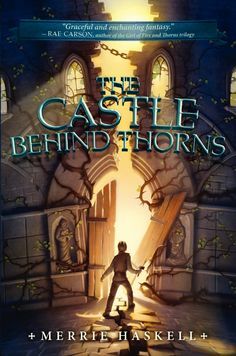 THE CASTLE BEHIND THORNS, also a Junior Library Guild Selection, comes out in June 2014. My short fiction for adults has appeared in NATURE, ASIMOV'S and so forth.